Dave is shown as an Atlanta Flame (there's a hint of a flaming 'A' in the middle of his chest and there's a poorly-masked one on the player behind him). 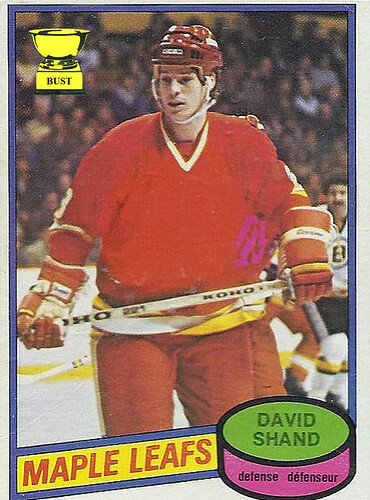 For 1980-81, the Flames moved to Calgary and Topps/OPC reacted by masking the crest on all the players. Dave was traded to the Leafs before the cards were printed but after the pictures were taken.